A cheerful rainbow card for that person that puts the color in your world. 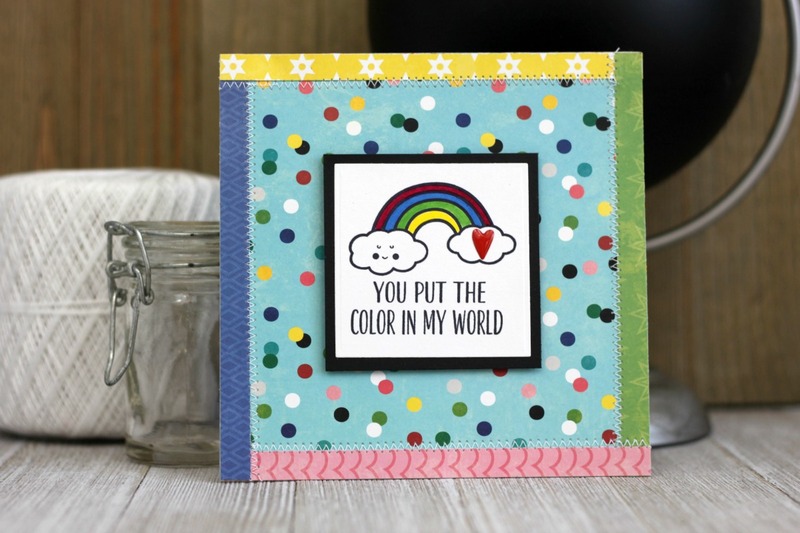 This card uses new You Make Miso Happy papers with the brand-new wood stamp. The confetti paper was mounted as a base and the other patterns were added as border strips with a sewing machine. Then the center panel was stamped in black ink and colored with markers. Adhere that piece to the center of the card front with foam dots. Last add an epoxy sticker red heart to the cloud as a finishing touch. This card is the perfect message for those special friends in your life.